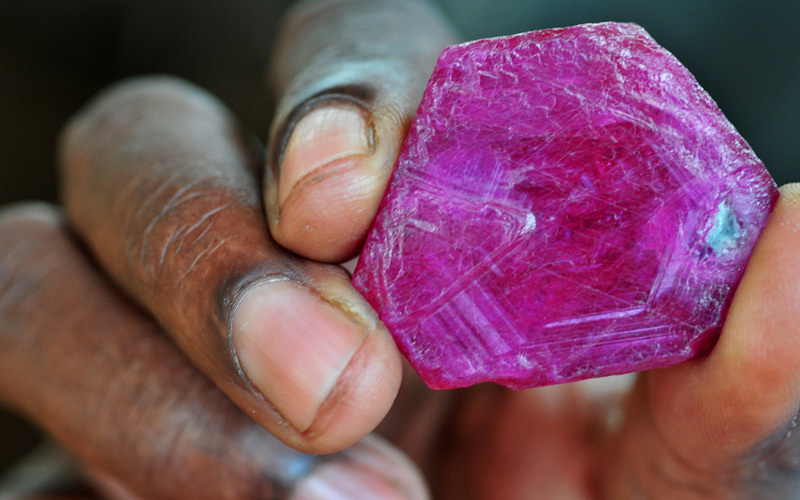 From today’s perspective, it is almost impossible to overestimate the importance of African rubies on the gem market. Same for several reasons rubies from East Africa, have dominated especially those from Mozambique, Tanzania, and Madagascar, the market lately: because they were not thermally treated because of their brilliance, their size and also because of their colour. 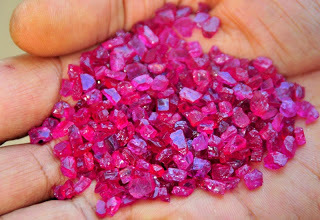 In terms of the quality and size, so could keep stones from any other region with the Mozambican rubies. Rubies were promoted 1498-1975 in Mozambique since Portuguese colonial times, but this production brought to light not quality comparable with the present Rubin finds. Mozambique has become known for its copper-containing “Paraiba tourmaline’, who said the fight to those from Brazil. The discovery of new Ruby deposits of the provinces of Niassa and Cabo Delgado was a sensation, attracting even miners back mines on the border with Tanzania, and brought a production boost unprecedented in Mozambique. Already after a short time, this discovery played a significant role in the gemstone industry. It must be noted that Mozambique against the traditionally popular denominations such as Burma (Myanmar) had a tough fight to lead the acceptance in the well-to-do markets. Originally, it was assumed that a flooding of the market with unfired rubies would have put an end to the rarity of the stones would follow as a result. It soon became clear that this would not be the case. With time, it turned out that the attributes coveted in the industry rather referred to special beauty, outward appearance and size as only on the origin. 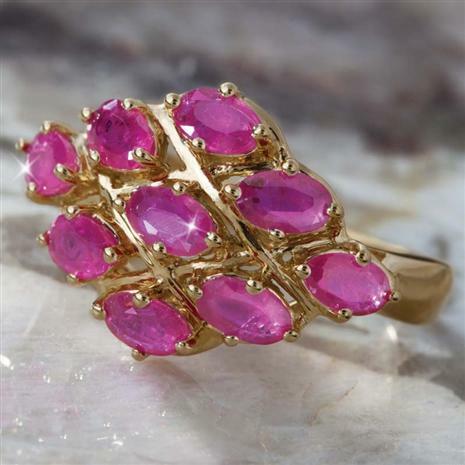 The steady production was also a new kick, the needs of the industry after rubies which thus was reflected in the price. When finally the leading Burmese colour stone dealers began two years ago to invest seriously in Mozambican rubies the value and the acceptance of these rubies not in question could be. The correct chemical composition and fluorescence in a good part of the Mozambican rubies spawned an equivalent of the finest Burmese colours with a stunning, bright red appearance of high transparency. Today are the most sought-after Mozambican rubies of the unbaked GRS type “Pigeon blood red”, are particularly large and transparent and are unparalleled in the world of the rubies. The GRS GemResearch Swisslab AG privately predicted that Mozambican rubies are continue to grow on the importance of a reference source in the history of the precious stones that will not wear off (see the preface to the Tiancheng auction catalog, Hong Kong 15 June 2013). Fig. 1 & 2 show the distribution of pigeon’s blood rubies in facettierbarer quality, which have been certified by the GRS since 2000 (X-axis see size categories). The number of the observed stones each size category is represented by a bar (no exact figures for privacy reasons of the GRS). Note the large number of small stones and the rarity of large rubies over 20 ct. Unfired pigeon’s blood rubies from Mozambique in gem quality are rarer than Burmese rubies. This relationship may be changing as the Burmese mines are largely exhausted and the Mozambican Rubin production qualify through foreign investment. Maybe it does not change but also. In this case, rubies from Mozambique will remain rare as Burmese rubies. In the first phase of production, the Mozambican mines have won pigeon’s blood rubies in almost exactly the same size categories, where also the unbaked Burmese pigeon’s blood rubies were found (see figure). Currently the inflow of new large Mozambican rubies to the GRS laboratory has subsided but dramatically. 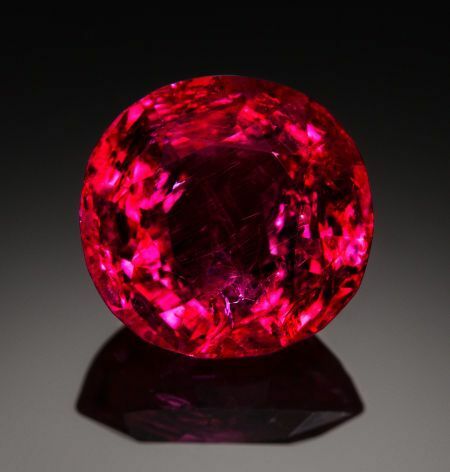 Therefore, it must be assumed that large Mozambican raw rubies in comparison to the Burmese equivalents are extremely rare. The GRS statistics show that the total – number of raw rubies of the GRS type “Pigeon blood red” from Mozambique is less than that of those from Burma (snapshot from today, see chart). How often in the case of new areas of the mine, the scenario was initially differently. The findings of the first year are usually the most important and can not be repeated. The future marketing of Mozambican stones is anticipated with high investments by foreign investors in the mining area. 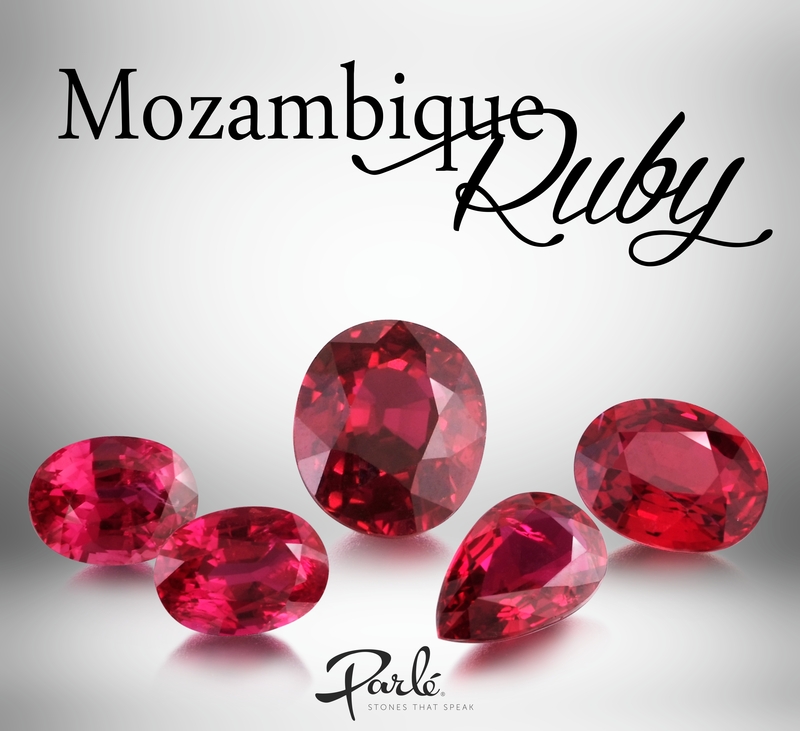 These ensure that the new brand of Mozambican rubies survived and finally represents a corresponding volume as the available Burmese rubies. However, there is no absolute certainty. As well, a scenario could arise in which Mozambican rubies are rarer than Burmese. Future marketing initiatives that will accompany the production of these rubies, emphasize mining morally correct and fair trade practices, which brings a positive image of this precious stone source. 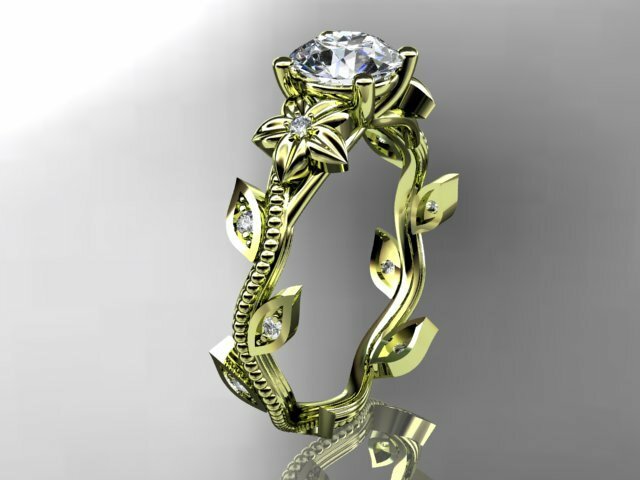 But that can be seen only as a wonderful extra beauty and own splendor of the gem itself. If you would care for a Mozambique Rubin or like to find out more, contact us via our contact form or by telephone at +49 89 1222 893 0.